Flat shoes make up the bulk of any man's shoe collection and in this category you can find a wide range of flat shoes that work for the office, more casual days as well as something a little more adventurous. We are currently loving suede loafers and brogues, ideal for going from the office to the bar or even on date night. 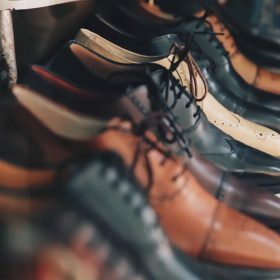 Got a big event coming up, make sure you take a look at the formal shoes category to find the perfect dress shoes for any event.